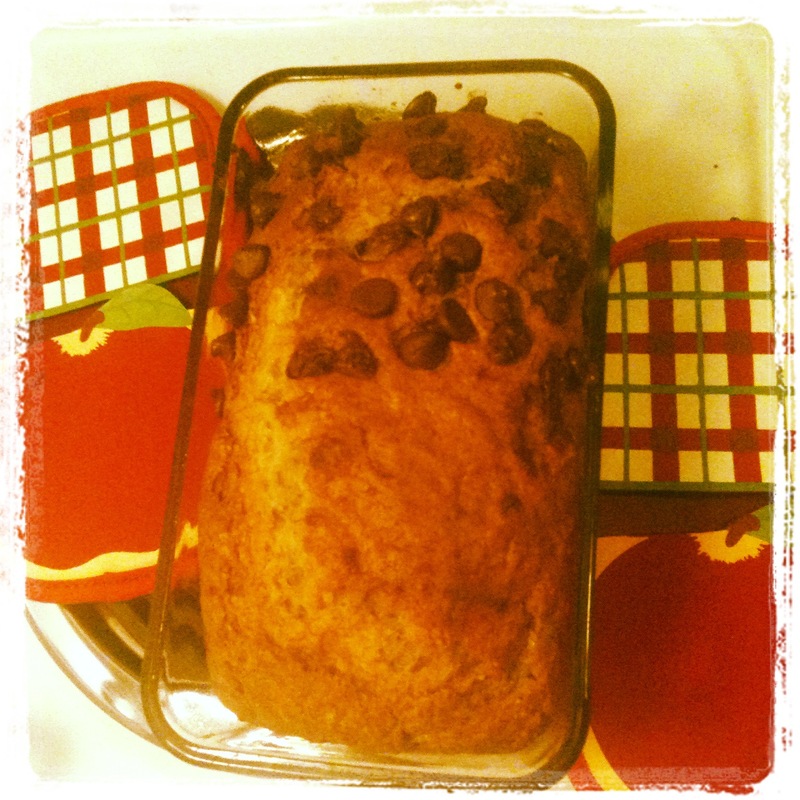 It wasn’t until I entered the food blog world that I learned not many people like banana bread. I, on the other hand, LOVE it. And I love this recipe for it: it’s quick to prepare, vegan and parve, and most of all, delicious. Preheat oven to 350°. Lightly grease a 9″ baking pan and set aside. If 42 is the meaning of life, I firmly believe that 350 is the meaning of baking. 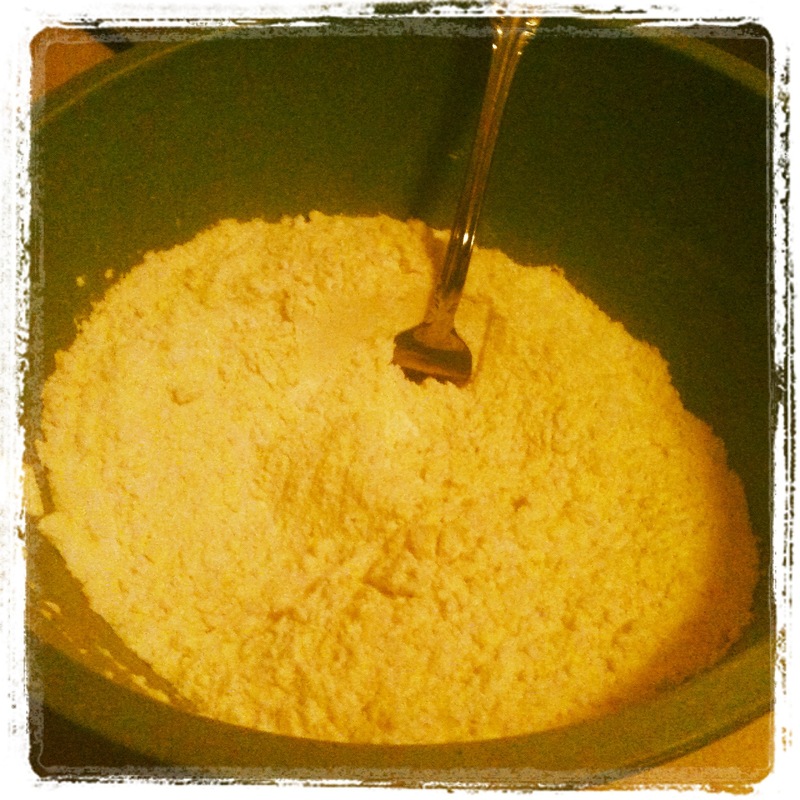 In a large bowl, combine the flour, sugar, baking powder, baking soda, and salt. Set aside. 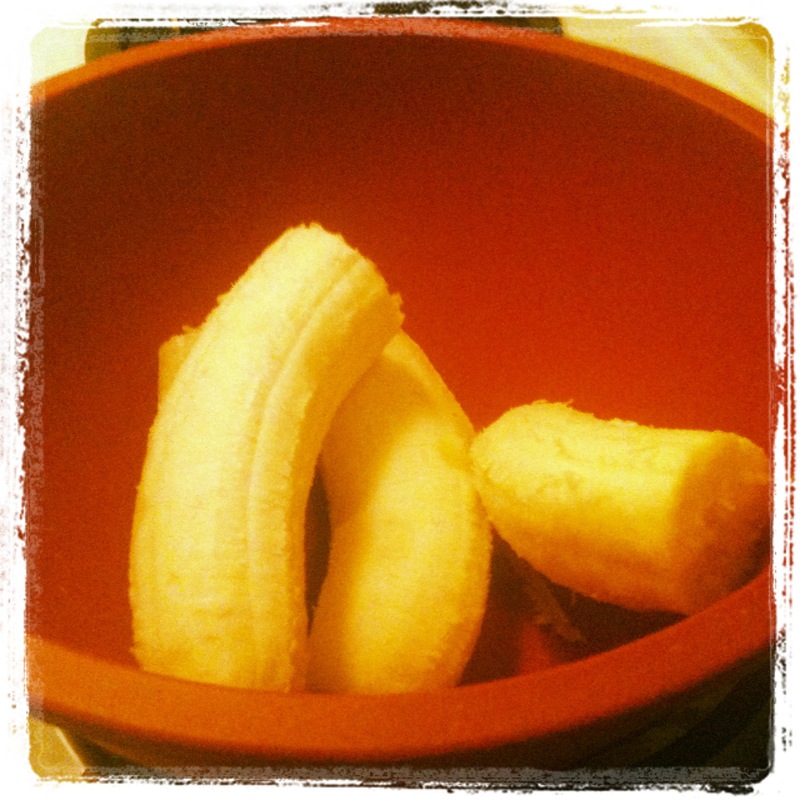 In a separate bowl, mash the bananas. 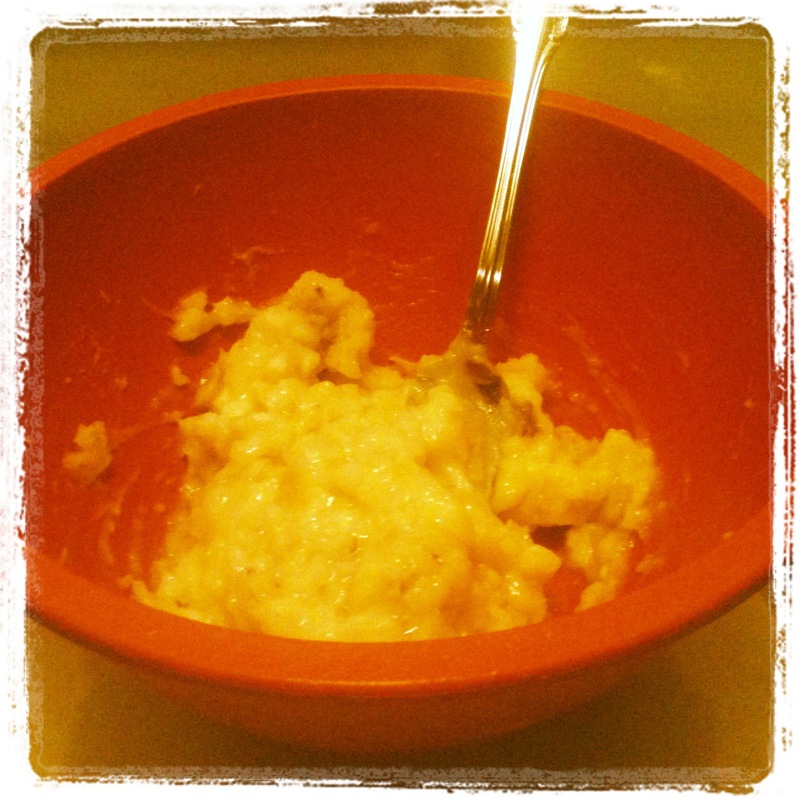 Add the apple juice/applesauce/soy milk, vanilla extract, and canola oil and mix until well combined. 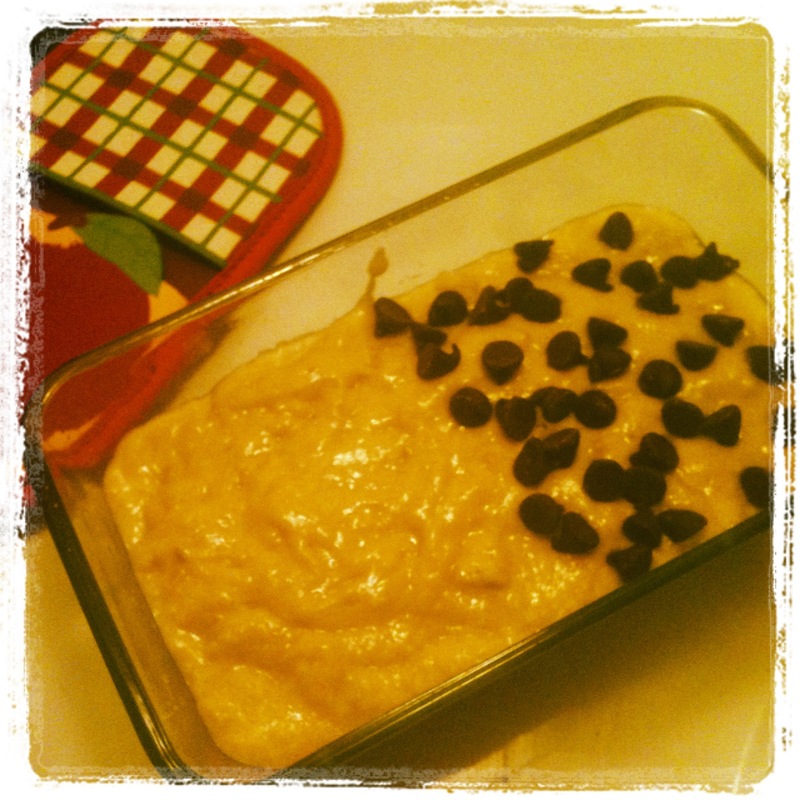 If desired, add your chocolate chips, then pour the batter into your pan. Since BF is not, NOT a chocolate fan, I only put chocolate chips on the top half of the loaf versus actually folding them in, effectively ensuring that I get at least half of this banana bread love. What you do with this is up to you. 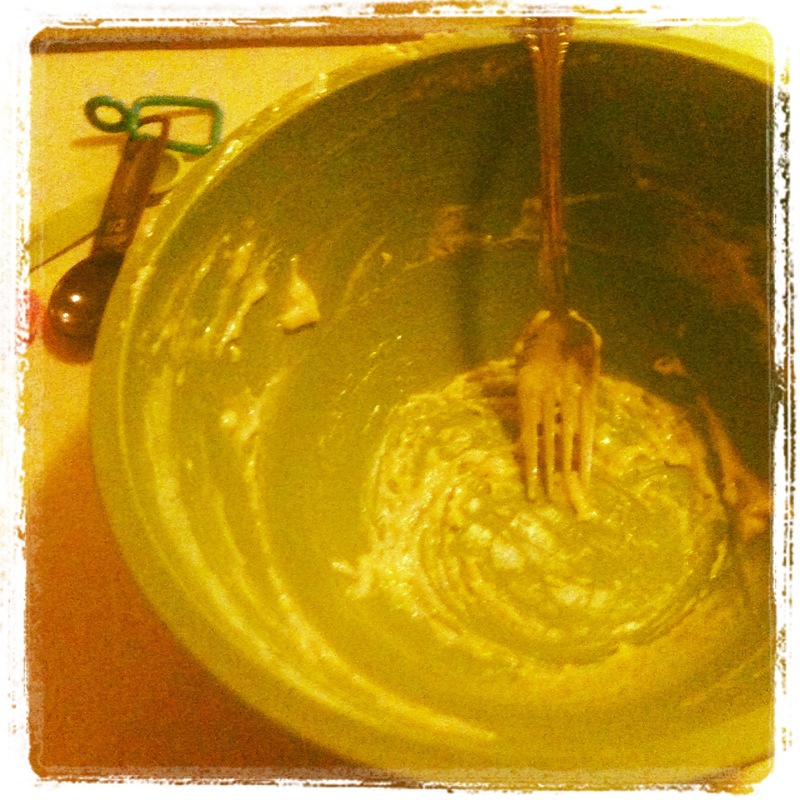 Joy of vegan baking = eating the batter and not getting sick! Bake for 50 – 55 minutes, until the top is brown and a knife or toothpick inserted into the middle of the loaf comes out clean. You will probably have to tent your bread to keep the top from browning too much. If you’re not familiar with tenting, it’s very simple: loosely cover the loaf with aluminum foil. Some use toothpicks; I just bend the foil so it touches the pan but not the bread. 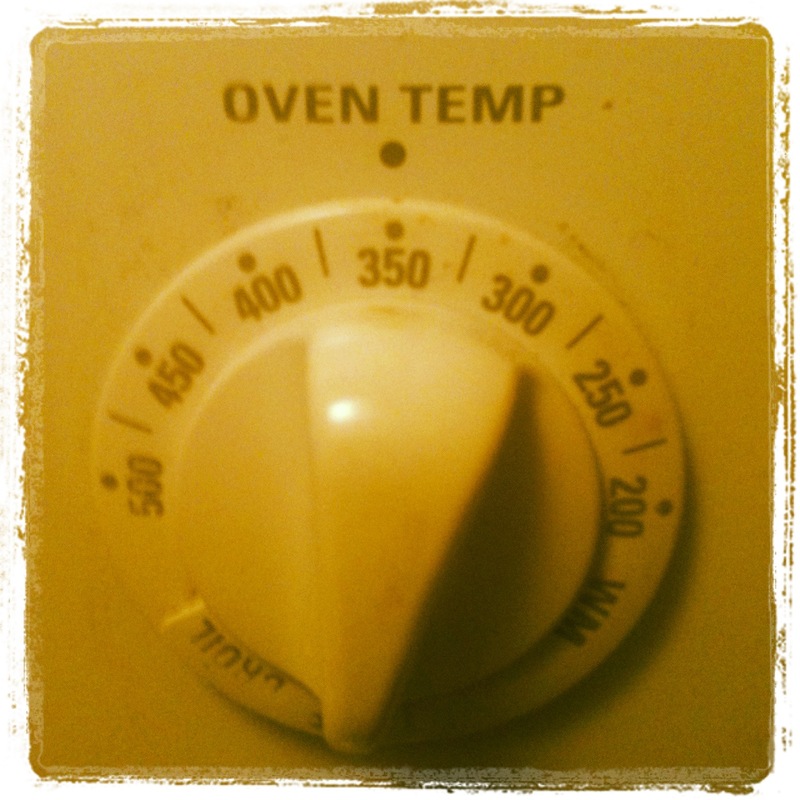 This delays the top browning and ensures the rest of your loaf cooks through. SO GOOD. I’ve had 2 slices since coming home from temple. If that’s not a day of rest, I don’t know what is. Here’s hoping your weekend is a sweet one!